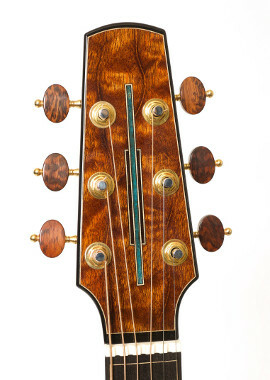 A modern take on the traditional parlour guitar. Immediate projection and powerful fundamentals define this small body instrument. A small finger style guitar with a energetic response and excellent clarity, complimented by a full bass and rich overtones. 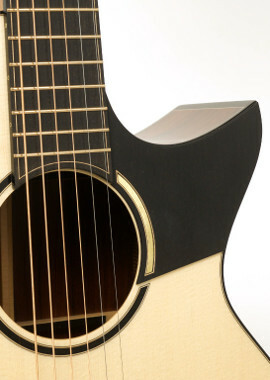 A versatile guitar with a strong clear voice. 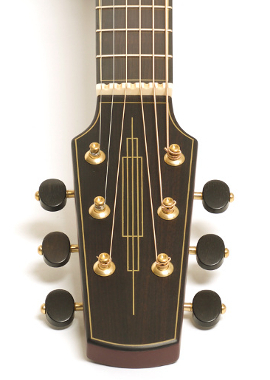 With great projection and depth, this model is equally suited for finger style or flat picking. Enveloping overtones and a larger bass presence. Geared towards those seeking a deeper complex tone. Through deflection and tap testing raw materials are brought to full potential. 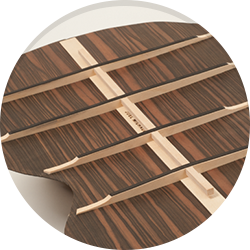 An extremely strong structure for supporting the tops and back vibrating plates. Two distinct options available, Florentine and Scoop to suite players needs. I have always loved to build and create with my own hands. 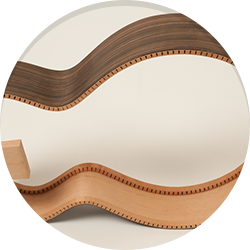 With a background in woodworking and design, combined with a love for music, building musical instruments became a natural calling for me. 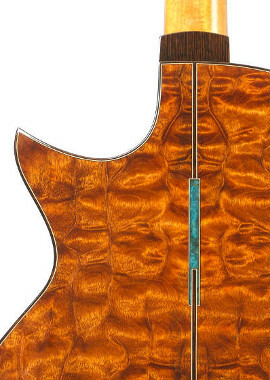 Working solo as a Luthier out of my shop I craft guitars with a modern aesthetic while having a strong respect for tradition. Building guitars has become my way of life, and I live each day excited to create, learn and evolve. 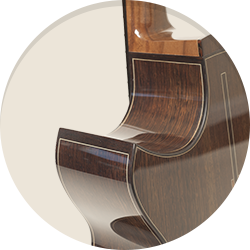 I hope to have the chance to build you your dream Michaud guitar. 2019 © Michaud Made. All rights reserved.